I recently grabbed a bottle of Founders' Frootwood, a cherry ale aged in maple syrup bourbon barrels, from their Barrel Aged Series. This is a new series for the brewery and its first release overall and in 2017. 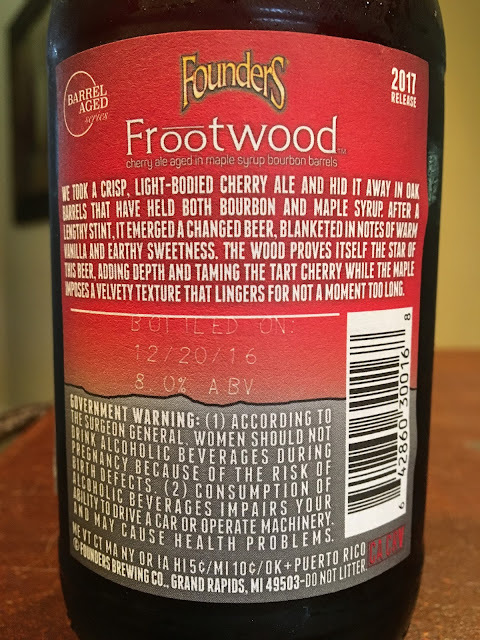 The artwork on the label is nice, with a cherry tree reaching deep into the dirt, roots penetrating a buried bourbon barrel. 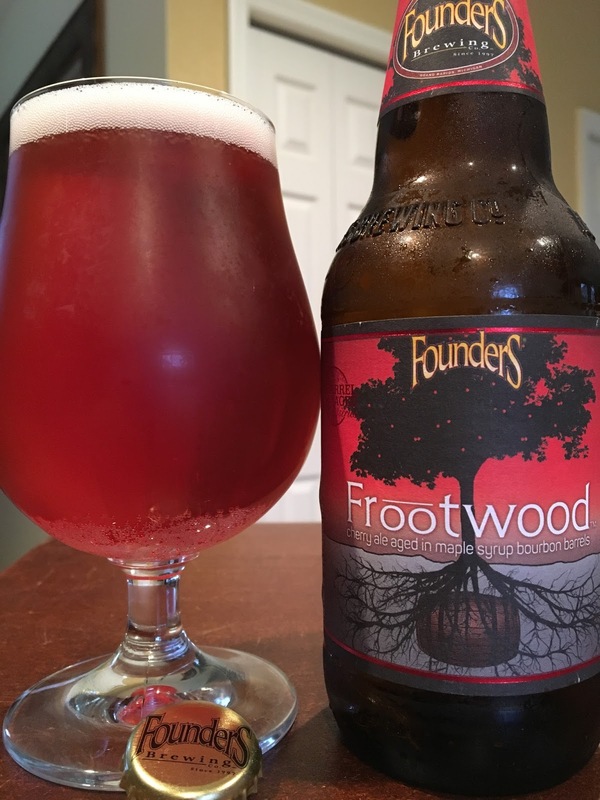 Now, I know I'm a critic of bourbon barrel aging of beers; however, this is 1. a barrel that also housed maple syrup and 2. is brewed by Founders! Enough said. Tart cherry and sweet maple aroma. Yum flavors! Lots of cherry to start, just a touch tart. Then some excellent sweetness completely coats the palate. Vanilla noticeable, maple syrup also contributes, bourbon in the background. Awesomely smooth with some great texture. Dry finish with a little more tart cherry lingering. Super unique, nice beer. Bourbon, tartness, cherry go nicely together. Check it out!